The sunset over Hamilton's Seddon Park during England’s Twenty20 (T20) win against New Zealand last week was a sight to behold — a sultry, cosmic fusion of rusty hues. 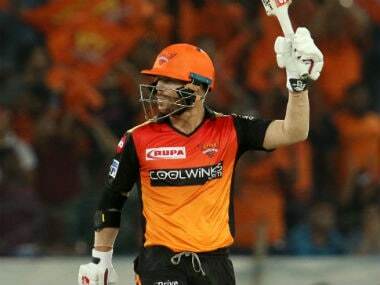 An even more combustible and orange-tinged mass of wonder stormed into view this Sunday at the same venue, however, as Ben Stokes made his return to international cricket in the first One-Day Internationals (ODIs) between the same sides. He failed with his now sponsor-less bat and his side lost the match, but if anyone thought they might see a softer, gentler Ben after his being charged with affray after that notorious night in Bristol in September, they were to be politely surprised. This was still Stokes at full Stokes, the heart worn on his lycra-clad sleeve every bit as visible as his numerous tattoos. This will doubtless have delighted most English supporters. 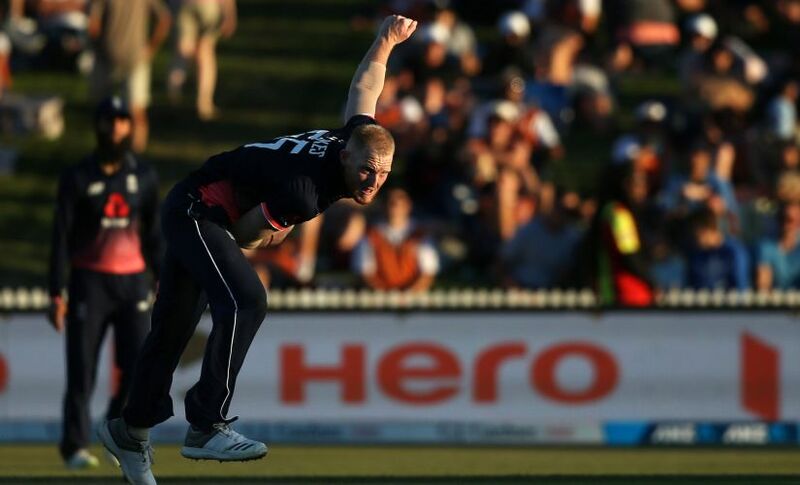 His coach Trevor Bayliss had earlier said it was unlikely he would play in the match, but Stokes looked as if a broken leg wouldn’t have kept him off the field. In a week when two of his colleagues, Adil Rashid and Alex Hales, opted out of playing red-ball cricket in the English summer, here was a man desperate to opt in to playing any form. 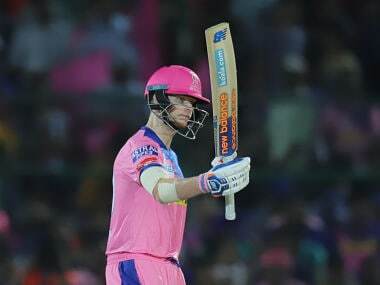 His captain, Eoin Morgan, spoke of how it was like Stokes had "never been away" after he flew out to start training with the squad during that T20 tri-series. 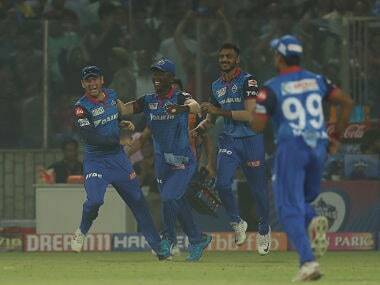 On Sunday, those watching would have thought the same as the all-rounder unleashed his familiar howls of celebration and frustration with ball in hand, and reminded all of his panther potency by making a brusque catch to dismiss Guptill look bread and butter. Same old. 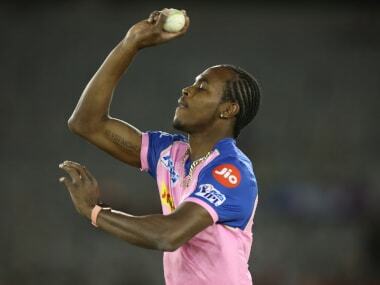 The bowling of Rajasthan Royals' new signing also held up well for someone mostly out of the game for five months. 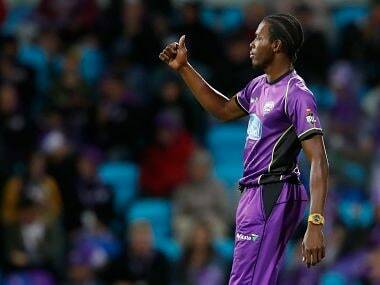 His first spell was particularly miserly, with it initially being suggested that would be the only one he bowled. But he returned for a second to unleash one of his patented make-something-happen balls to break a partnership between Tom Latham and Ross Taylor that England at that point seemed clueless against. He then got De Grandhomme with a slower ball that plummeted to earth like a cat mistakenly jumping into a mirror. Dwayne Bravo is the master of the late-dipping change-up, but the ones England’s troubled superstar bowled throughout his return suggested that his enforced extra time in the nets had been particularly well spent. 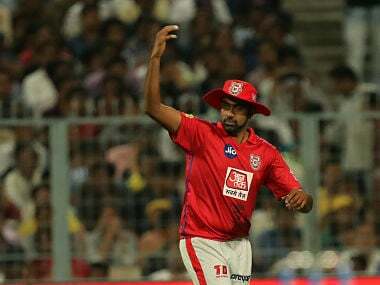 Perhaps a knuckle ball might soon also be in Stokes’s locker given his proficiency with that part of his body and, a less glib point, that he is soon to share an IPL changing room with a noted exponent of it, Jaydev Unadkat. While his bowling was typically steady and then spectacular, there were moments when you remembered Stokes has been away. When on the boundary during New Zealand’s innings, he stood merrily signing autographs for an excited and endless gaggle of children. While this made clear his legal problems had in no way diminished his star quality, it was an oddly poignant juxtaposition. Here was the player last seen doling out hooks and uppercuts on grainy CCTV footage now instead offering smiles and signatures to doting kids. As regards their parents, there didn’t appear to be any particular ill-feeling reserved for the all-rounder. There was no booing as he walked to the crease to make a fusty 12 off 22, though a four-costing misfield late in New Zealand’s innings brought some especially jubilant jeers. These may, in truth, have had more to do with it happening rather late in a doubtless bibulous day. After the match, Morgan commented, "He’s delighted to be back, he's told everybody that." 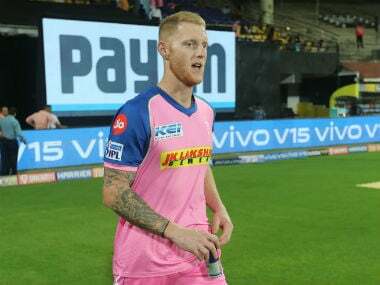 However pleased, Stokes again showed he was not prepared to tamper his temperament due to his legal predicament even with regards to his team mates, giving Moeen Ali a phlegmy verbal rocket for some slipshod work in the field. When he took the wicket of Latham, he was universally mobbed, with cries of "Yes, Stokesy Boy!" 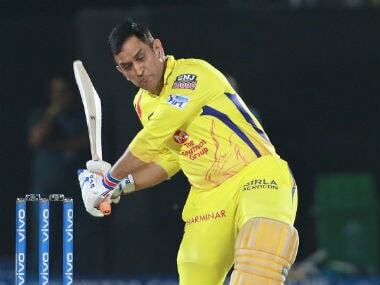 picked up on stump mic, suggesting there is no ill-feeling towards him from anyone within the squad. It must still nevertheless be a rather daunting sensation to be screamed at by Stokes for anyone who has viewed that footage, even if you’re lining up next to him. It would be a bit strange if none of his teammates felt not the slightest bit intimidated by him, the sort of uneasy mix of devotion laced with a slither of fear it must have felt like sharing a dressing room with Graeme Souness. There are many who think the ECB have let the tail lead the dog in even allowing Stokes to be there at all. Michael Atherton described his return as "illogical and feeble", pointing out that suspending him before he was charged and then allowing him to play afterwards, was an apparent paradox many would find hard to decipher. Another ex-England skipper, Nasser Hussain, was more sympathetic to the board’s quandary, saying it would have been a "media circus" had he been called up to go to Australia. It is certainly worth recalling that when Faf du Plessis faced an allegation of licking a lollipop in 2016 — a rather less serious charge than those Stokes faces — the Australian media hounded him as if he were a Kardashian. However paradoxical it might look now, the ECB were probably right not to let Stokes go to Australia but let him return in New Zealand. As it stands, he has been charged, not convicted, of affray and, with due respect to the GJ Gardner Homes ODI series, the media intensity is a little less than the Ashes. There is a story about Australian wicket-keeper Brad Haddin trying to sledge Stokes during the then youngster’s debut 2013-14 series and Graeme Swann taking him aside and telling him it wasn’t a good idea. When Haddin asked why not, Swann replied, "Because he will f*cking kill you." Such a tale necessitates a slightly awkward laugh rather than a belly one these days, but watching Stokes on Sunday made you almost forget why. Everything was the same as before, even if everything is now different.